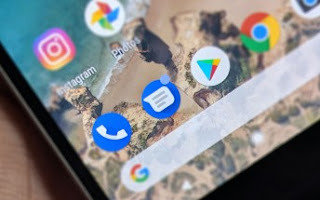 A new update to Google’s default SMS application – Android Messages – Is now rolling out to all users. 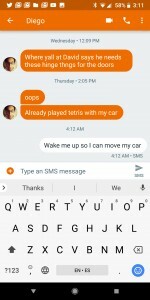 This update brings the Android Messages app from version 2.5 to version 2.7. While there aren’t any significant changes to the interface, the APK did get a size reduction as well as two new features integrated into the app. The first feature, which we've heard about in the past, is Duo calling integration. Duo is Android’s default video calling app, and placing a video calling icon right in the SMS conversation window is a great way to get more folks using the free service. Also new to the Android messages app is a method of sending or requesting payments from friends. The service is provided by Google Wallet, which was among the first NFC payment services in the US before Google phased it into Android Pay. Google Wallet also had its own debit card, but it has also been phased out. According to an APK teardown by Android Police, the app is also getting ready to streamline the notification indicator. Rather than displaying “New messages below” in the SMS conversation, it would say “X new message(s)” where X is the number of new messages below. However, a more noteworthy feature is RCS support for dualSIM smartphones. RCS stands for “Rich Communication Services” and offers larger attachment allowances, read receipts, and lets you know when the recipient is typing. The update supports RCS features on smartphones with two active lines.